“Go Forth, Feminist Warriors.” Lyrics by Lloyd & Michael (Katy Davidson and Marianna Ritchey/ASCAP Solo Wanderer) with the Rookie staff. Rap verse by Psalm One. Pizza freestyle by Carrie Brownstein. Music by Lloyd & Michael. 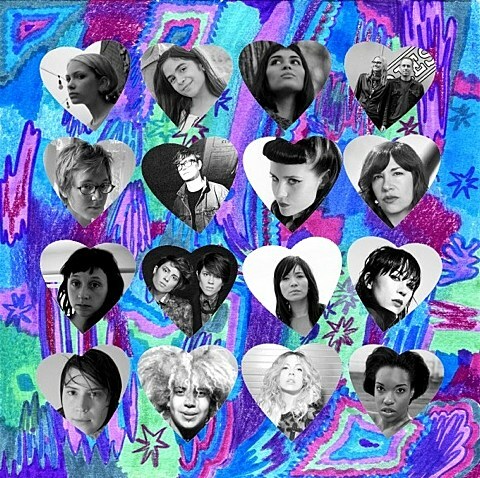 Performed by (in order of appearance) Katie Crutchfield, MNDR, Kate Nash, Kimya Dawson, Suzy X., Tavi, Katy Davidson, Marianna Ritchey, Geneviève Castrée, Thao Nguyen, Storey Littleton, Tegan and Sara, Dee Dee Penny, Ted Leo, Aimee Mann, Psalm One, and Carrie Brownstein. Mixed by Chad Clark.